Darwin had this theory of evolution, I’m sure you’ve heard of it. The idea is that species gradually evolve, varying slightly from generation to generation, in order to increase their ability to survive. In the world of digital advertising agencies, you’ve had to do your fair share of adaptation, moving away from traditional models and figuring out how to satisfy clients in the digital sphere. As the market shifts, agencies must evolve to provide solutions that meet the needs of their target audience. Sounds pretty simple, but it becomes more difficult as those needs become more complex. 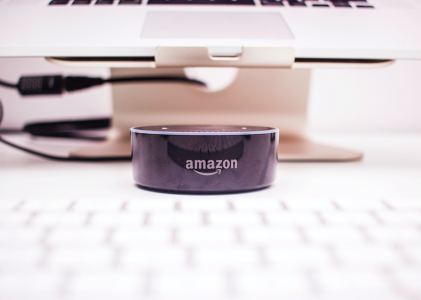 For example, encompassing cross-channel campaigns or adapting to the growing number of people who block or skip ads online, which reportedly cost publishers nearly $22 billion during 2015, means you need to adapt your marketing stack. A marketing stack refers to the technologies leveraged to improve marketing performance. Brad Geddes, author of “Advanced Google Adwords,” spoke out in our recent webinar on what to expect from digital marketers in 2016, and said that growing your marketing stack is key to adapting your agency offering to keep clients happy and to attract new ones. 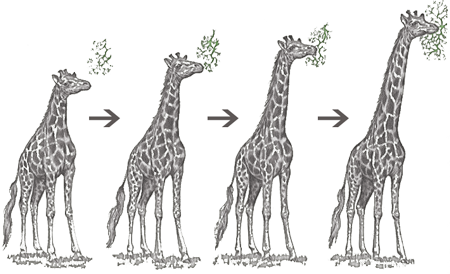 If you don’t adapt, you’ll be the short-necked giraffe who can’t get to the high-up food source, aka those big enterprise clients. Adapt your stack and offer more complex automation solutions to satisfy more complex enterprise clients. Change your agency’s target audience, catering to smaller clients with more basic needs. As an agency executive, to help your clients increase traffic and grow sales and conversions, you’ll have to change your recipe one way or the other. Why does my agency need to change? If things have been going swimmingly for you, and you don’t see any reason to adapt your agency offering, then sorry for wasting your time, here’s a video of a sloth yawning. 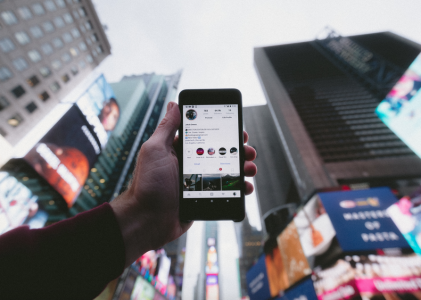 If you’ve had a harder time nailing down big brand clients, or worse, you’re at risk of losing the clients that keep your business afloat, technology is both the problem and the answer. If you fall into this 70% bucket, you’ve likely already sensed a shift. Maybe your agency is struggling with larger enterprise clients, or maybe you’re getting more requests for functionality that requires custom automation and deeper level analytics. If these are concerns your agency is dealing with, and you’re not sure how to move forward, we have a few solutions for you. If you want to keep and attract more enterprise level clients, you will have to focus on improving your in house automation and analytics. 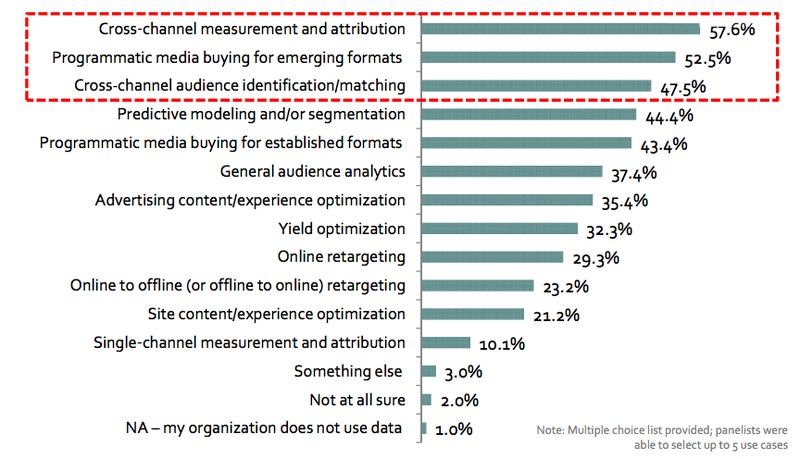 In a survey by IAB of the most senior and deeply engaged stakeholders in the digital media and marketing community, when asked what the number one focus for 2016 would be, the top answer was cross channel measurement and attribution, number two was programmatic media display for emerging formats, and number three was cross channel audience identification and matching. These results indicate that the automation solutions enterprise clients are looking for require their own analytics system and not just off the shelf solutions like Hubspot or Infusionsoft. Geddes said that agencies don’t have the development capabilities to build in house solutions that solve for these top problems, and consequently are forcing clients to fit with more generic solutions. From a 2015 Enterprise study shared by Forbes, 80% of enterprises deployed or planned to deploy big data projects in the next twelve months, and 83% of organizations categorized these initiatives as critical or high priority, with 36% who increased their budgets for data-driven initiatives in 2015. The need for data driven results and the need for automation go hand in hand for enterprise clients. In a study conducted by IBM, Chief Marketing Officers shared what they felt were the most pressing digital strategies to tackle both today and in the next five years. 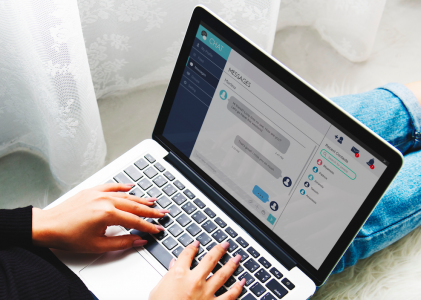 At the top of the list, 87% of respondents feel integration of cross-channel touchpoints is an area where technology can be used to help achieve their goals, with analytics to capture customer insights a close second at 83%. The way in which enterprise clients want to collecting and use cross channel data is where custom solutions come in. Large companies, aka the giants you spend most of your time chasing or trying to please, don’t care about off the shelf software, they need custom initiatives for cross channel analytics that use their data in an actionable way. Brad gives the example of a mid sized company, with 200 employees in the home automation space, that wanted to tag the users that came to their site into specific demographics and personas. When someone would call, the company wanted to route the call based on the persona, and show reps, in real time, the ads that person saw, how many times that person had previously called, and their location. After asking several agencies if it was possible to set this up, and being turned away, the company decided to hire developers and solve this issue in house. Within three months they had their solution up and running and agencies lost the opportunity to service this client. This example, of a mid sized company, just goes to show how simple it would be for an enterprise company to do something similar. When it comes to big brands with disposable income and the power to acquire marketing automation solutions and develop their own, why would a Fortune 1000 company pay an agency when they can acquire a startup and develop the technology to solve their needs themselves. This is why enterprise clients are leaving agencies. If despite the risk of losing your clients to their own in house solutions, you still want to chase the big fish, then you will have to hire developers to solve their custom needs. But remember, APIs change often, so you can hire someone to build and establish your connections, but it won’t run for years without change. API changes are constant. Maintaining Enterprise clients means you need to both build and support API solutions, and hire employees full time, not contractors. Especially now, given that Google’s API schedule will be more frequent than before. If you are unable to service the custom needs of enterprise clients because it takes too much time and money, or because it’s too risky, luckily most mid sized companies fit perfectly with the off the shelf automation tools your agency owns and uses. Why not shift attention towards the mid sized market? In a recent survey by Korn Ferry, only 27% of CMOs from mid sized companies were concerned with staying ahead and taking advantage of digital technology trends. With less urgency placed on technology and custom solutions, the mid sized market is a better fit for most agencies. It is easier to scale, take on new clients, and retain existing clients, with smaller companies because their needs are more easily met. However, with smaller companies comes smaller budgets, and there may be more reluctance to part with money unless there is a guarantee of success. That’s why more agencies are switching to performance pricing. Should you adopt a performance or value based pricing model, where you client pays for conversions and goal completions, your clients will feel confident their money is being well spent and will trust your agency more. 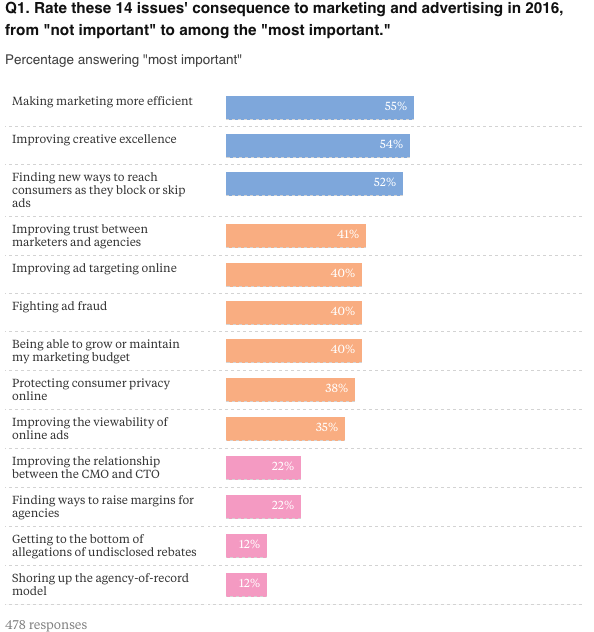 In a 2016 survey released by AdAge, 55% of agencies felt as if “making marketing more efficient” was the most important issue of 2016. In other words, automation solutions, or technology to streamline processes and eliminate grunt work, are more important than ever. Not exactly aligned with the hyper specific goals of enterprise clients. 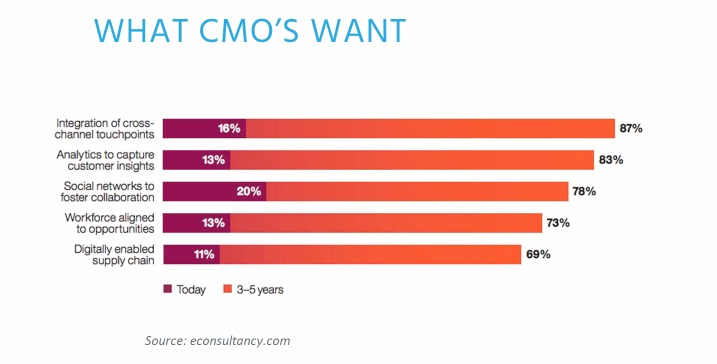 Also, agencies are looking to improve trust between themselves and marketers. If you’re looking for a way to attract more clients, and keep them, it may be time to evolve your pricing and audience targets, and stop craning your neck for those high up leafy greens.